Adventure, skills, fun and new experiences for guys and girls aged 14½-18 years. “Vennies” plan and run their own activities together; supported by leaders qualified in adventurous activities and amazing Scout resources across the region, state, country and world. Caving, canoeing, camping, hiking and abseiling are a big part of the Venturer program aswell as more sedate activities like volunteering at events, movie nights, running activities with younger scouts and cubs and completing other challenges they set themselves. Want to do something else? Your leaders can probably make it happen. Our Venturer scouts may have been Scouts for years or may be new to Scouting. Venturers support each other and ensure noone gets left out, no matter their ability or experience level. We generally meet on Wednesday nights from 7.00pm to 9.00pm in our hall at 3 Icely Rd, Orange. Call us for more info on what we do and you can come along and see for yourself. 31 January 2019: No Vennies – Vertigo Recovery! Mon 11th February 2019: Games Night with 3rd Bathurst. 13 February 2019: Formal Dinner at Restaurant de McDonald. 20 February 2019: Screenprinting. Watch this video and get ready to print! 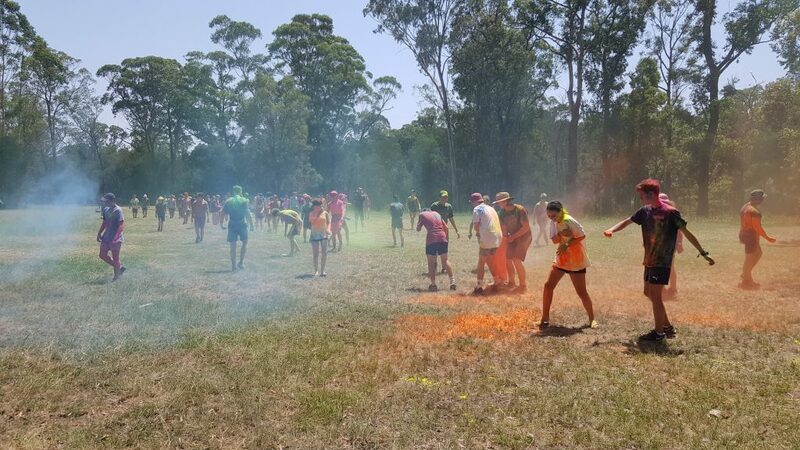 Sat 2nd March 2019: Unit Management Course, Camp Canobolas – how to run an amazing Venturer unit. Sun 3rd March 2019: Canoeing Skills Day, Lake Canobolas – Upgrade your Canoeing skills and get ready for future Canoeing adventures! 6th March 2019: Unit Council – New constitution, awarding badges etc. 10th March 2019: Canyoning at Hat Hill Canyon. A stunning canyon with no abseiling required. 10 April 2019: Dragonskin Venturer Camp: the biggest Venturer Camp of the year.